These days, it’s hard to come up with something that unites us in our fractured, ever more decaying societies that are slowly eaten up by a mix of corporate greed, political cynicism, and internal rot. The only things that still stand above the fray are celestial bodies, most of them too far away for us to be able to despoil them as well. Stars, planets, and moons continue to shine their light on us, however pathetic a scene we produce down here, and we revere them for the beauty of their spectacle, for their astronomical sublime. Opening September 14, 2018, 6-8 pm. This exhibition celebrates the artistic legacy of the significant early twentieth century sculptor, Paul Manship and marks the transformation of his former summer house and studio, Starfield, by the Manship Artists Residency + Studios (MARS), into a location that hosts artists-in-residence at the spectacular Gloucester, Massachusetts, site. The book also includes facsimile editions of three artist’s books that Bosworth has made as a nod to Galileo’s 17th-century publications in which he first observed the skies through a telescope. 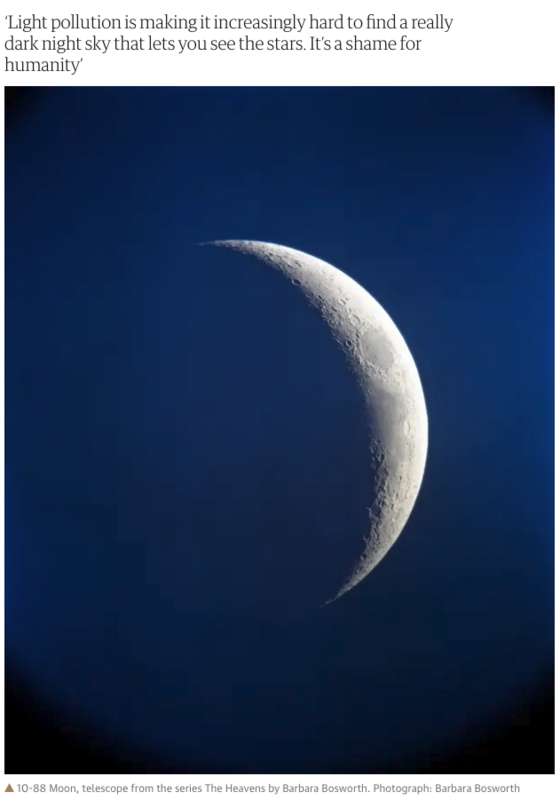 Barbara Bosworth’s photography beholding the universe and all its wonders, and Dong-ju Yun’s poetry confessing his love to all dying things make up “Heaven, Wind, Stars and Poems.” The works were featured at Datz Museum of Art from April 8 to July 2, 2017. These two artists relay with separate but converging visions our finite existence in an infinite universe. This book, published by Datz Press, conveys the complementary visions of these two artists. More images and information here. Barbara Bosworth's artist book, Fireflies is a collection of images of fireflies from Barbara's project, The Meadow. This book is made in conjunction with the exhibition Heaven, Wind, Stars and Poems exhibited from April 8, 2017 to July 2, 2017 at the Datz Museum of Art in Korea. Barbara started to photograph fireflies from the time she begin her project The Meadow. She found an expert of fireflies and walked the meadow with her and took pictures. More images and information here. On June 22 and 23, Barbara Bosworth will be participating in Plymouth University's "Territories" summer symposium. She will be discussing the photographs from The Meadow. More images from The Meadow can be found here. "Possession is a necessary condition when space is framed as ‘territory’, whereas landscape may be considered in purely aesthetic terms. When landscape is territory, we can think of a ‘territorial gaze’, a possessive look of privilege, of ownership, of control, with an implied need to defend or conquer that bounded space. Territory, therefore, is always political, a situation of power relations." On August 3, 2017, Barbara Bosworth will be participating in the 2017 Art and Land Symposium at Colby College in Waterville, Maine. 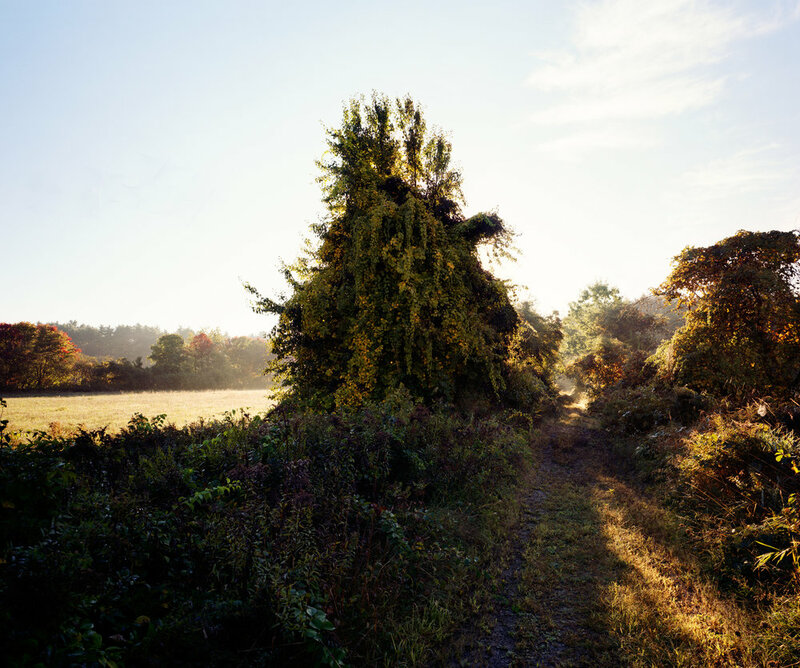 Barbara will discuss her project, To Be at the Farther Edge: Photographs Along the New England Trail. More information about a limited edition book of the work can be found here, or by emailing bbosworth0@gmail.com. Tickets and more information can be found here, and the full event schedule can be found here. "Datz Museum of Art is happy to present a special solo exhibition by American photographer Barbara Bosworth, who has been introduced to Korean viewers through the exhibitions “Flow” and “DARKNESS”, and the book Behold. The artist’s photographic works, which look warmly upon the small lights of nature—the sun, the moon, stars and fireflies, sparkling far away in space or in the woods—will be exhibited together with poetry by the late poet Yoon Dong-ju. Through these two artists, who loved sky, wind and stars, and sang about their love through poetry and photography, spectators will be able to enjoy the beautiful artistic harmony between East and West." Heaven, Wind, Stars and Poems is open April 8, 2017 - July 2, 2017. More information can be found at The Datz Museum website. More images from this series can be viewed here. Several of Barbara Bosworth's photographs are featured in Foundry Journal, issue three. The issue can be accessed here. More images from One Star and a Dark Voyage can be seen here. 0-100 Editions in Milan, Italy has published Barbara Bosworth's images from Birds and Other Angels as part of their project, Ten. Wild Birds will be presented at the Sprint Art Book Fair in Milan, Italy. It can be previewed online here and purchased here. Images from Birds and Other Angels was included in Nicha Magazine's issue 177 as part of the article, Migrating Birds, curated by Ravit Harari. Barbara Bosworth's book, The Meadow, was recently selected as a TIME Lightbox Best Photobook of 2016, by photographer Martin Parr. Parr writes, "This beautifully produced book, which examines a small plot of meadow, is a real gem. From misty autumnal landscapes to spring flowers, all seasons are celebrated. these images are supplemented with a fine text, assorted inventories and thorough appendixes of things like what birds were spotted with their dates. It is very re-assuring that one small plot can be so lovingly explored and it is the thoroughness of this that makes this book so compelling." Barbara Bosworth's book, The Meadow, published by Radius Books, has been selected for the 2016 Paris Photo - Aperture Photo Book of the year shortlist. The Meadow is a luxurious book object and multidisciplinary exploration - visual, literary, and scientific - of a single meadow in Carlisle, Massachusetts, by photographer Barbara Bosworth and writer Margot Anne Kelley, with support from botanists, entomologists, and historians. Senf praises Bosworth's keen vision of how the natural world implicitly reflects the engagement of humans, "Even in scenes we don't imagine having a human presence, it is present," Senf says. "Bosworth beautifully acknowledges there is no such thing as 'nature' without humankind. We're interwoven." The book's design mirrors this concept: from text pages on uncoated short-trimmed paper - tipped-in among the photographs, and sometimes even bisecting images - to the booklet of poetry tucked inside a pocket of the French-fold dust jacket, to the appendix of scientific recordings. Through these collected findings, Senf says, the reader experiences "an emotional and intellectual engagement with the place." The shortlist selection was made by Ann-Christin Bertrand, Curator, C/O Berlin; David Campany, independent curator and writer; Lesley A. Martin, Creative Director, Aperture Foundation and Publisher, The PhotoBook Review; Becky Senf, Chief Curator and Norton Family Curator of Photography, Center for Creative Photography at Woodstock; and Christoph Wiesner, Artistic Director, Paris Photo.